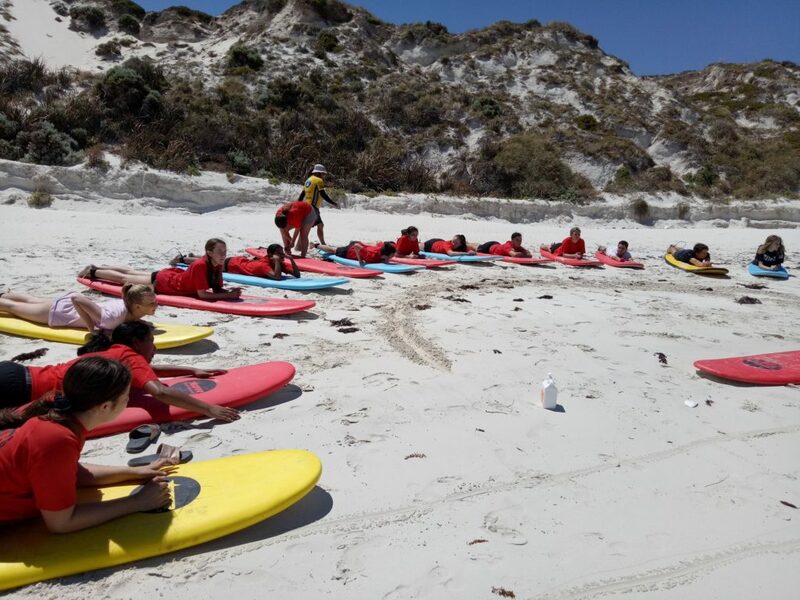 On the morning of Wednesday 14 November, 18 Outdoor Recreation students along with teachers, Mr Taseff and Mrs Johnson, caught the ferry and headed to Rottnest Island for three days of camping, cooking, cycling, sight-seeing, surfing and quokka spotting. 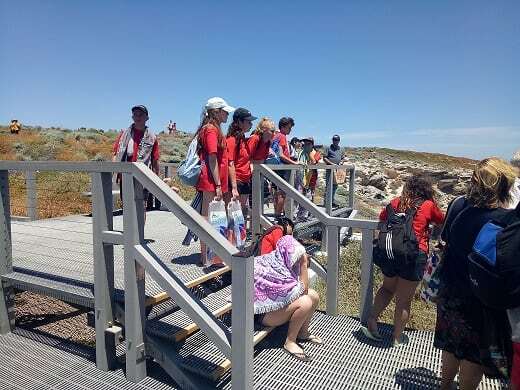 Upon arrival, there was time to have a quick explore of Thomson Bay and then eat our pre-packed lunch. 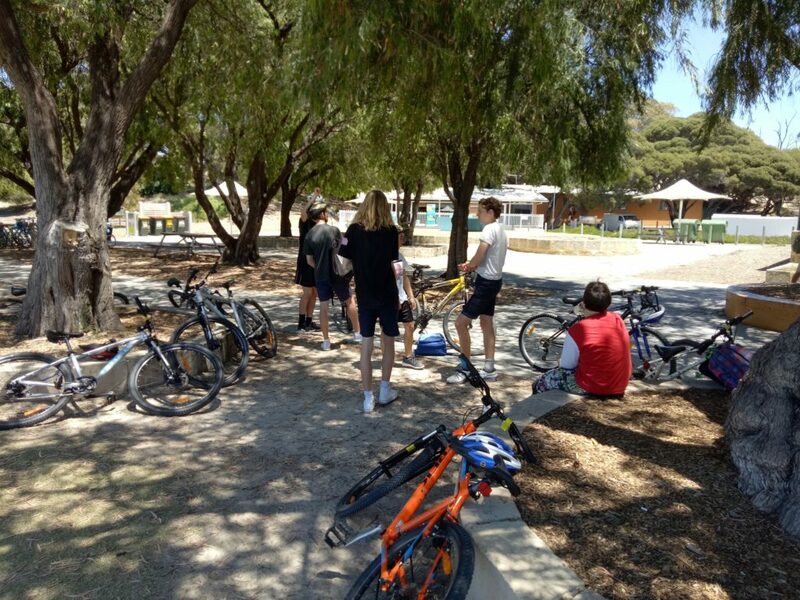 After refuelling, we headed out on a 30-minute bike ride (including A LOT) of hills to our secluded surfing spot where we met our surf coaches. 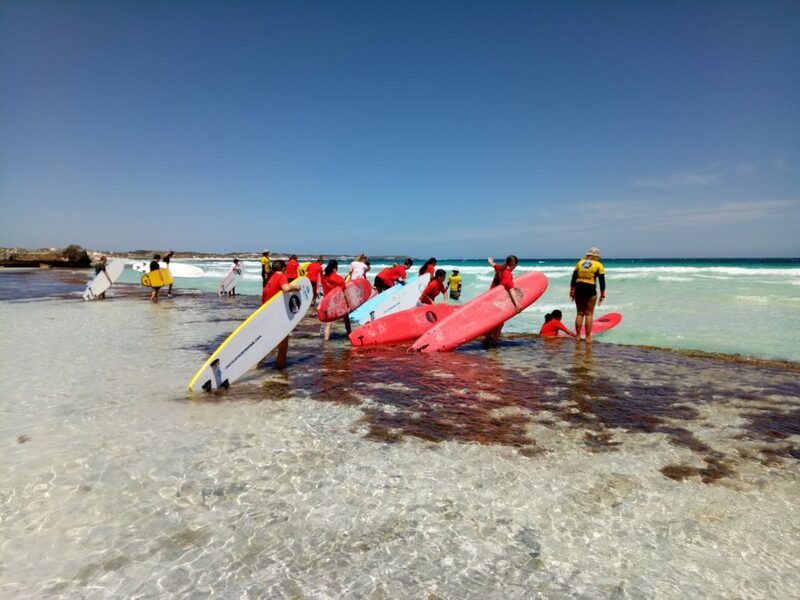 The surf was perfect and meant that everyone was able to, not only stand up, but also catch some decent rides. After an hour in the water, it was time to head back to the settlement and to our campgrounds to unpack our luggage and set up camp. 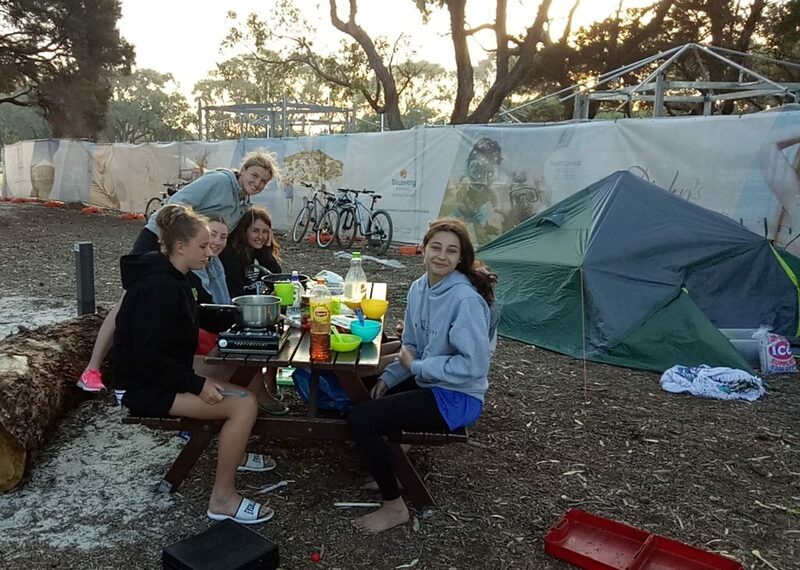 This was going well until one group of girls discovered they had left their tent poles back in Perth. 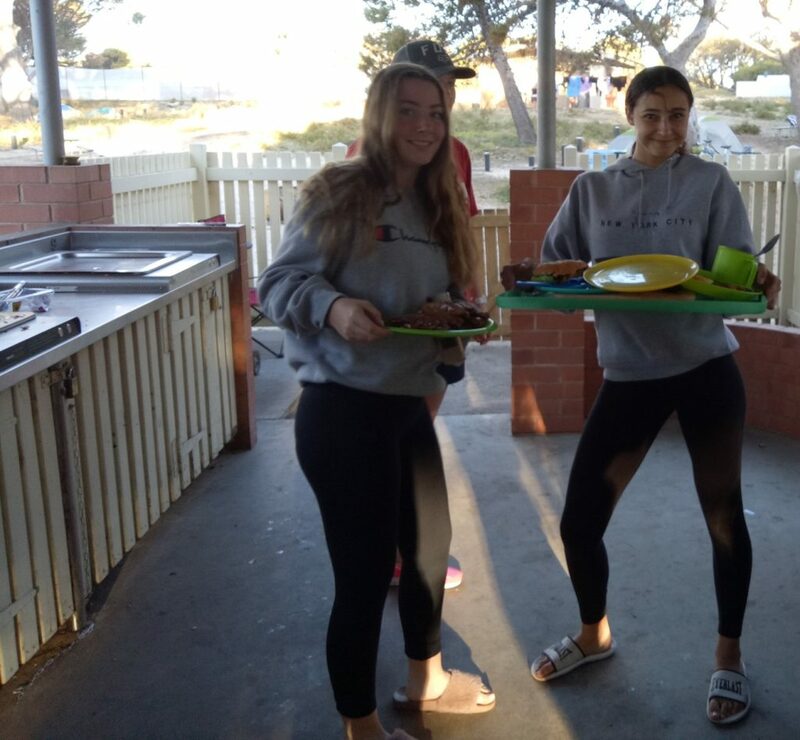 So with some ingenious suggestions from Mrs Johnson, they were able to ‘borrow’ a large orange traffic cone from the nearby building site, sit this on their esky and construct a circus type tent which they happily slept in for the next two nights. 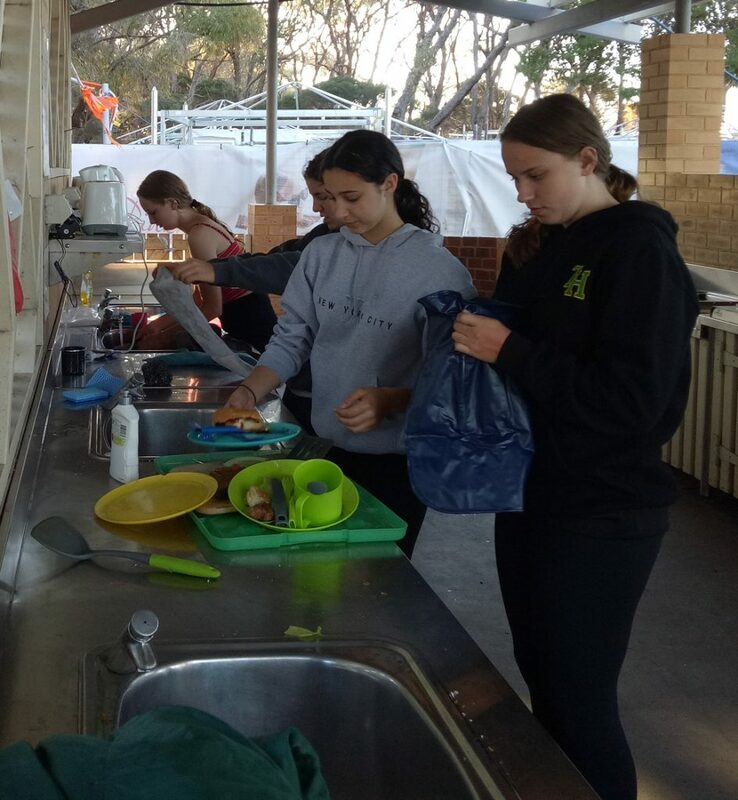 Cooking was prepared on the camp BBQ’s for the night then as it got dark we headed off for our ‘Twilight Tales’ tour of Thomson Bay. 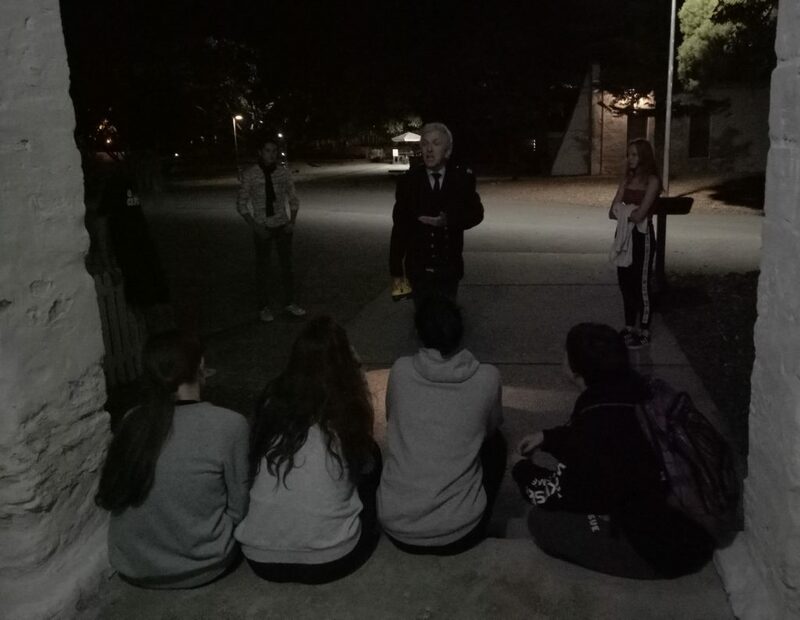 We met our guide who took on the character of Colonel Angelo who was the superintendent of Rottnest from 1890-1898. 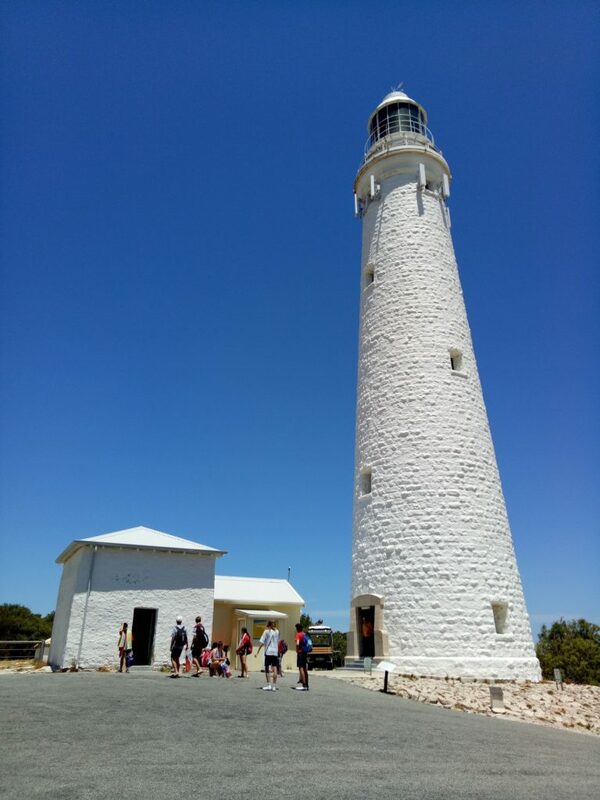 He told us many fascinating stories of the history of Rottnest plus some tales of the ghosts who live on the island too. After the ghostly storytelling, it was back to camp for a snack and then to bed. 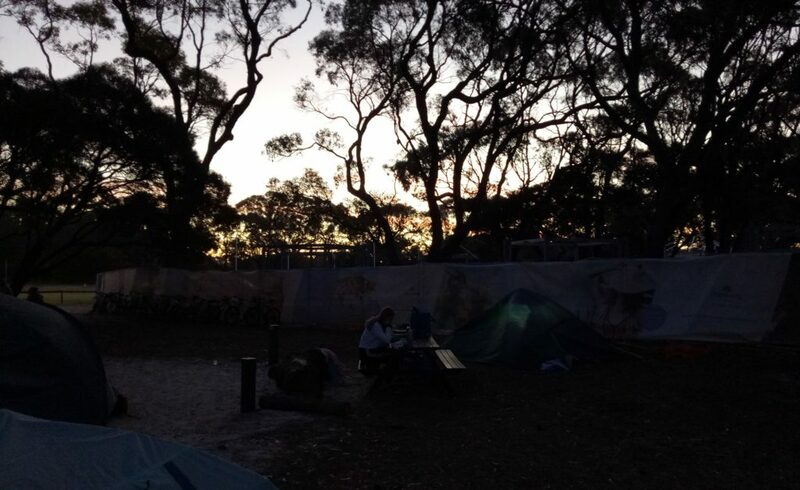 I don’t think anyone had a great night’s sleep as they all had to contend with flat air beds (or no mattress at all), quokkas constantly trying to steal food, flapping tents and a very early rising at 5.00am due to the sun beaming through the tents. 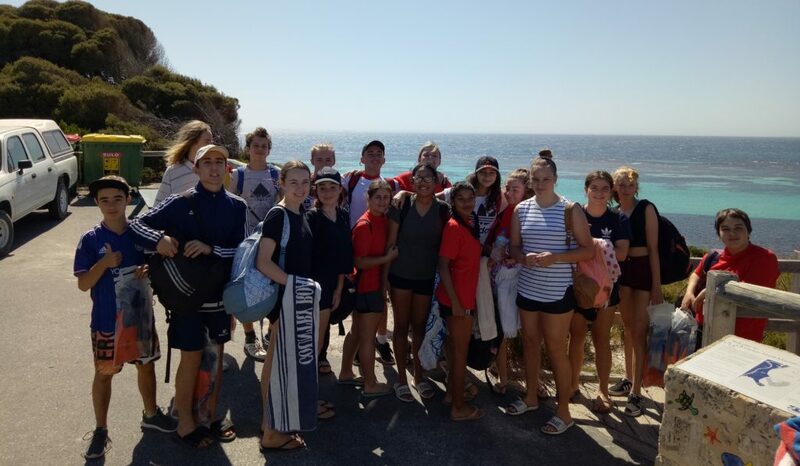 The lack of sleep did not dampen their spirits and by 8.30am Ms Stevens had arrived at camp to accompany us on our day of snorkelling and exploring the island. 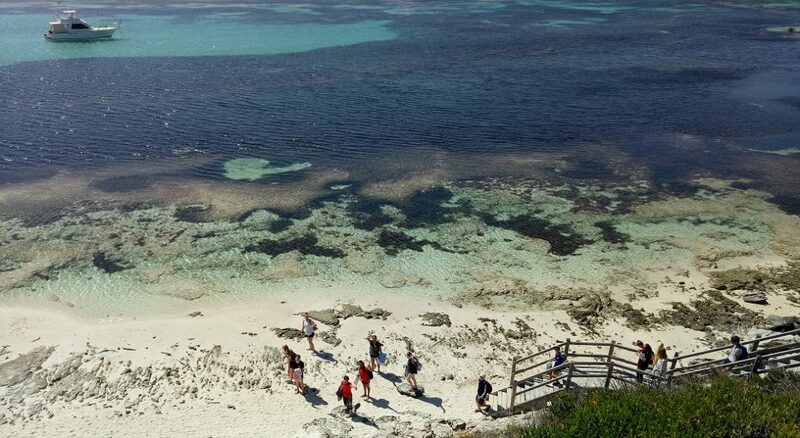 First stop was the crystal clear waters of Parker Point followed by a short walk to the beautiful Little Salmon Bay. 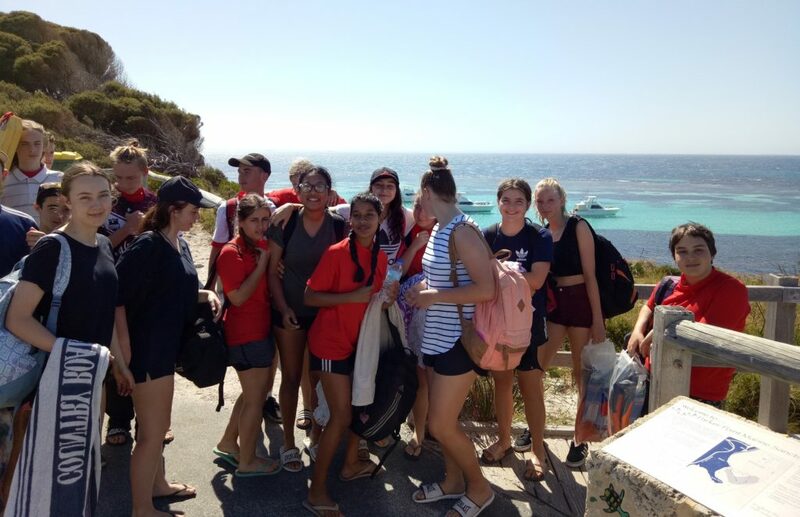 Everyone had a snorkel and saw amazing corals, heaps of different fish and followed the underwater snorkel trail where there are plaques under water with different pieces of information on them to read. Robert decided it would be here that he would catch up on his missed sleep from the previous night. This sleep may have contributed to him winning the ‘lobster award’. 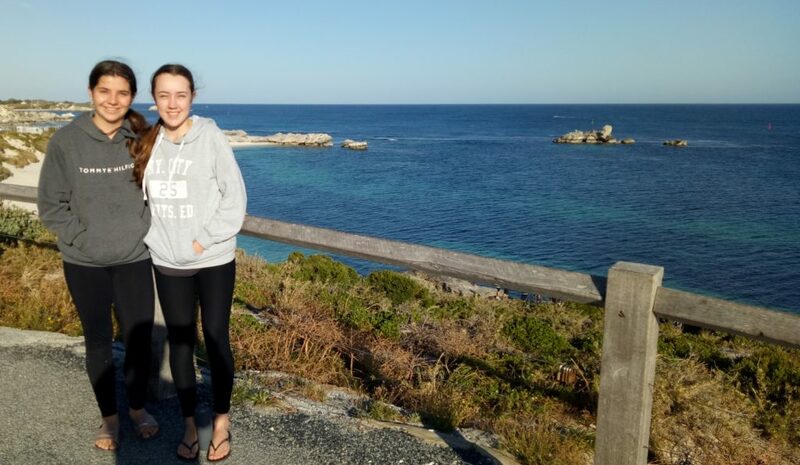 From here, we went to the Wadjemup Lighthouse and then out to West End where we saw a large group of seals just floating around in the water in front of Cathedral Rocks. 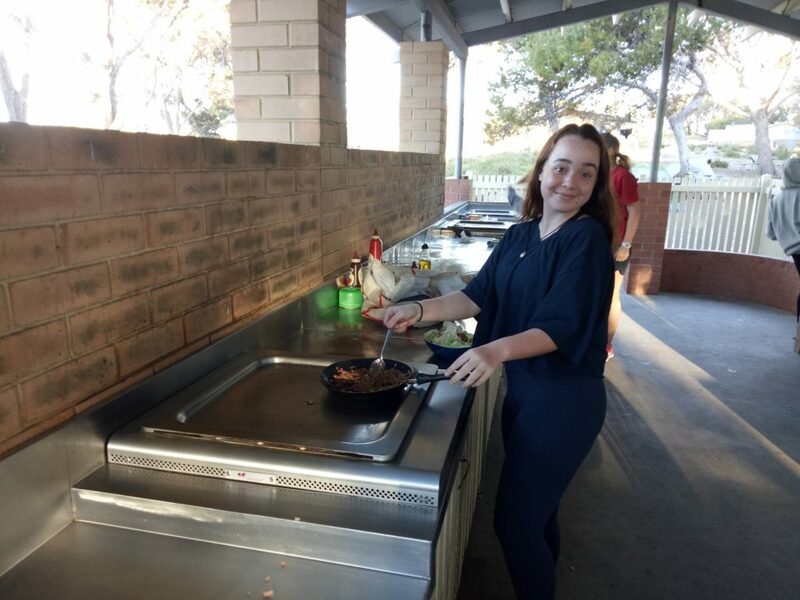 It was then back to camp to cook up a big lunch before heading out to test our golfing skills at mini golf. After mini golf, it was time to relax or go fishing. Mikael was the only one to catch a fish and with the help of Ms Stevens, he cleaned and cooked it for dinner. After showers and dinner, we headed out again in the dark to go on a stargazing adventure. We walked to a lookout on the hill and were then informed of all things to do with planets, stars and their constellations by our guide. It was back to bed after this, for another night of restless sleep with those scavenging quokkas. 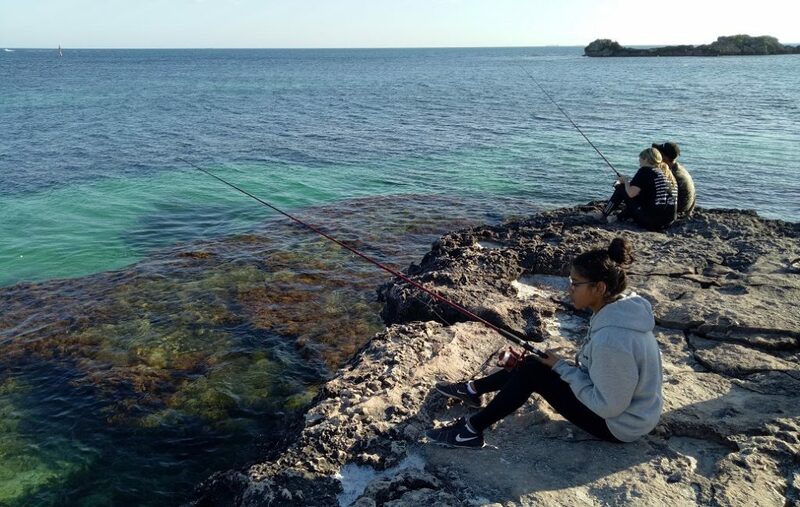 Finally, Friday was here so we all got up at 6.00am for an early morning fishing expedition. The fish weren’t biting and soon it was time to head back to camp and pack up. 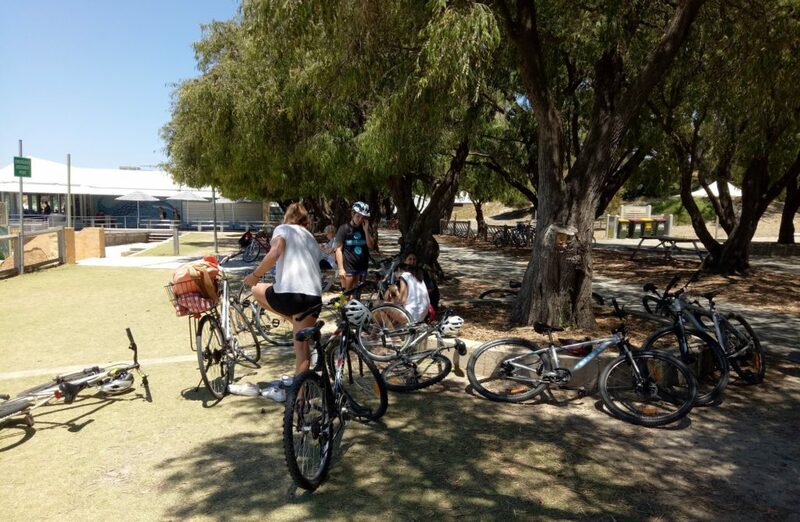 Once we were finished, we rode out to The Basin for a look around and before we knew it, it was time to head to the inflatable water park. 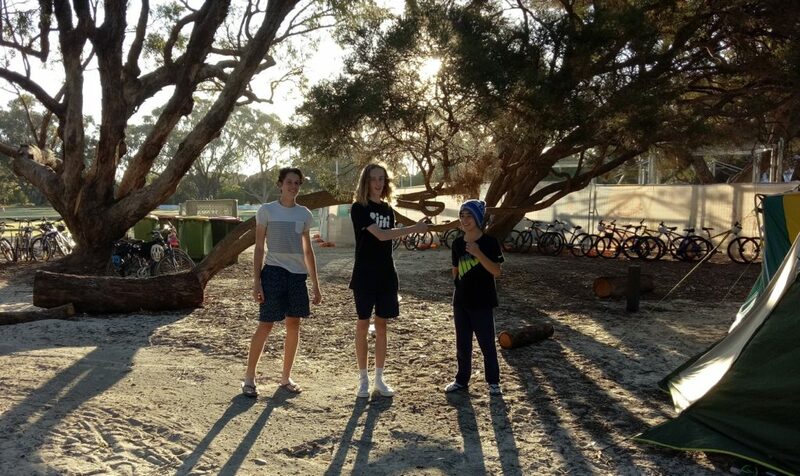 We had the park to ourselves and it was heaps of fun. Giant slides, water volleyball, trampolines and more were all well-used. Sadly, that soon came to an end and it was time for us to get ready to board the ferry back to Perth. The ride was so smooth and a perfect way to end an amazing camp. 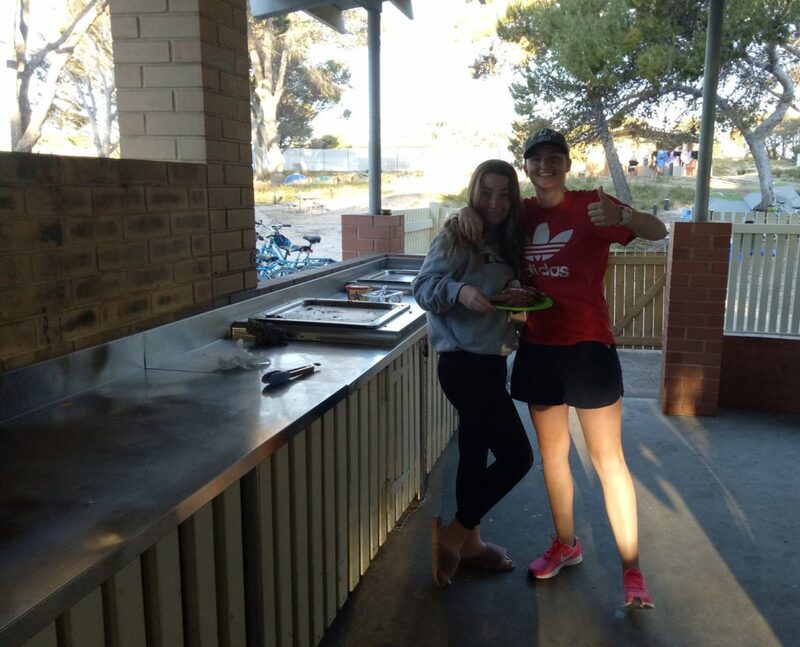 Thank you to Mr Taseff, Mrs Johnson and Ms Stevens for making the camp so enjoyable.